In 2004, the EPA estimated that 55%, or 1008 tons, of approximately 2000 tons of all elemental mercury used in commerce today in the U.S. is found in amalgam fillings. An additional 34 tons of mercury is added to that total each year by the placement of new amalgam fillings. Apart from being a substantial amount of mercury, what is significant here is that the dental office is the only workplace environment using this substance in an unregulated manner. There's more. A study funded by the American Dental Association (ADA) estimated that in 2003, 50% of mercury entering wastewater treatment plants was contributed by dental offices. The EPA estimates that dentists discharge approximately 3.7 tons of mercury each year to municipal wastewater treatment plants. In 2005, the World Health Organization (WHO) reported that mercury from amalgam and accounts for over 50% of total mercury emissions. It is clear that mercury from dental offices is a significant mercury polluter of the environment. While we believe it is important to protect the environment, the protection must also extend to dental patients, dentists and staff. Yet today there is no regulatory or legal requirement to monitor, or minimize, mercury vapor levels at the dental office. Nor have the regulatory agencies or the ADA suggested that safe amalgam removal protocols be required to protect dentists, staff and patients from excessive and unnecessary exposure to mercury vapor. But just because the dental industry has not YET been regulated, that doesn’t mean dentists don’t have a moral and ethical responsibility to protect their patients, their staff and the environment from occupational exposure to high levels of mercury; as effectively and as safely as possible. Of interest here is an Association Report by the Amercican Dental Association (ADA) Council on Scientific Affairs: Dental Mercury Hygiene Recommendations (J Am Dent Assoc, Vol 134, No 11, 1498-1499 © 2003 American Dental Association). 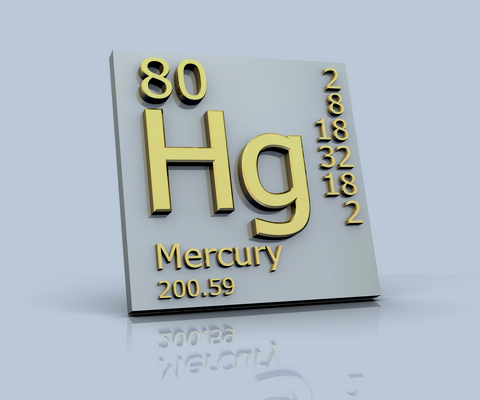 The ADA lists a number of sources of mercury exposure at the dental office, including polishing or removal of amalgam. It also recommends that all personnel involved in the handling of mercury and dental amalgam be trained in the potential hazards of mercury vapor and the necessity of observing good mercury hygiene. Among the ADA's many recommendations for dealing with mercury at the dental office are the following: Don't use carpet. Remove professional clothing before leaving the workplace. Avoid contact with the skin. Use high-volume evacuation systems (fitted with traps or filters) when finishing or removing amalgams. Never pour mercury, or allow it to go, down the drain. While we cover these and many other protective protocols we are in agreement with what the ADA suggests regarding mercury. You can access the information provided by the ADA by Clicking Here. As a dentist you now have a choice. Take action now to do what is necessary to make your office Mercury Safe and move your practice in the right direction. Or, face the uncertainty of possible legal action, being forced by the government to regulate and monitor your practice for unsafe mercury levels, and losing patients to dentists who are practicing Mercury Safe Dentistry. "Mercury Safe Dentistry: The Future of Dentistry."